I have been absolutely BURIED in commissions. (Buried, get it?) A feature on Comics Alliance brought in a ton of work and I have been sewing my little fingers to the bone. 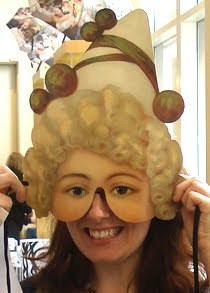 Watch out for more pictures this week! I'm also getting ready for Heroes Con in June and having a mild panic attack. While I've attended Heroes for several years, this will be my first year as a vendor. I've never done anything with this many people and I'm super excited. On that note, here is the first batch of little guys for the convention. 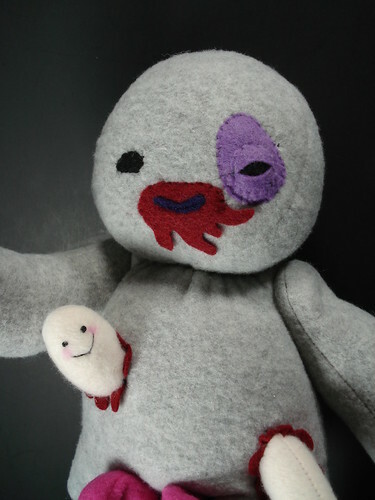 Of course they're plush zombies, silly. Each one has little intestines that can be pulled out or stuffed into a tummy pocket. Nothing says "snuggle me" like evisceration, right? 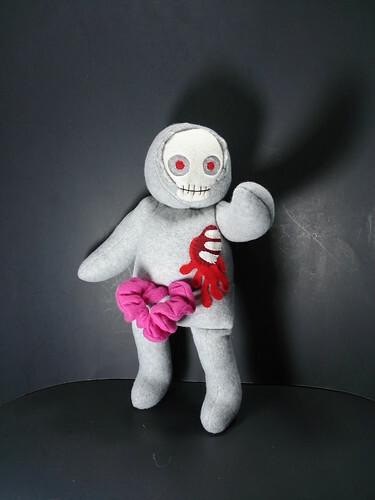 ﻿ ﻿﻿Each one also has a different design, with hand sewn blood splatters and wounds. I'm going to do similiar ones in several different colors. I'm thinking dank, olive green and a lifeless pale blue. ﻿﻿I hate to play favorites with my undead sweeties, but I totally love this little guy with his wormy friend peeking out of his chest. ﻿ Wallpaper sized images are available for Mr. Decomposer and Mr. Skully Face on my Flickr.